Hardwood floors are one of the most coveted floor types in the world. They are sophisticated, they are classy, and they are timeless. But they can also be quite expensive. And while they last for many years, hardwood floors do not last forever. When the time comes, they will require refinishing or a completely new floor. Refinishing can be a very affordable alternative for a worn out, beaten up floor. In this process, the top layers are sanded off and new finishing is put on. It can restore a beat up floor to a floor that looks brand new at a much lower cost. The national average for refinishing hardwood floors is $1,634 which a typical range extending from $1,074 to $2,346. On the other hand, hardwood floor installation puts in a whole new floor. The national average for hardwood floor installation is $4,404 which a typical range being anywhere from $2,549 to $6,474. As you can see, the price ranges are quite different. And not every hardwood floor can be refinished. If a floor has already been refinished a couple of times, it is likely at the point where new floor is needed. To get the best information on having hardwood floor refinishing performed, contact your favorite local contractor in Evanston, IL. They will have the best knowledge on which route is best for you to take. Ted Flooring hires the best flooring contractors in Evanston. 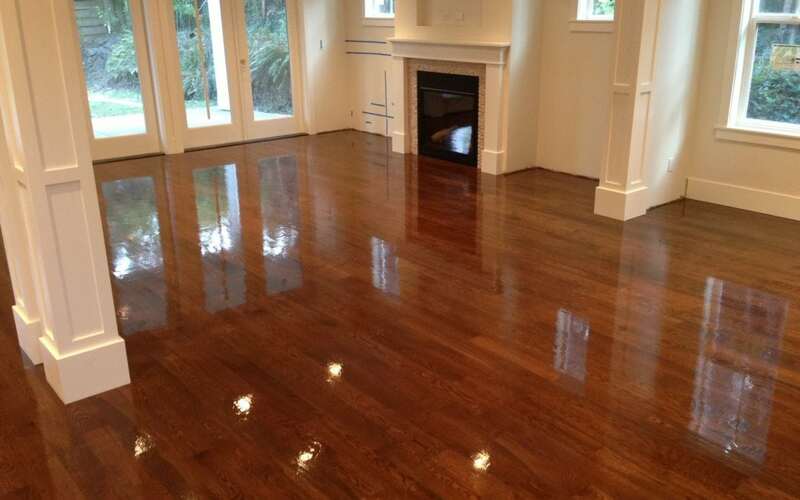 They have years of experience developed by performing wood floor refinishing Evanston homeowners trust.